A crocheted baby afghan to be enjoyed for years. This gorgeous, handmade, heirloom baby blanket or baby afghan would make a perfect baby shower gift! It's quality hand crochet stitching and lasting beauty is made to be used, and to last, so it can be passed down from generation to generation. Generously sized, this crocheted baby blanket is ideal for the newborn infant baby, toddler or young child. This soft crocheted baby afghan will quickly become a favorite blanket. 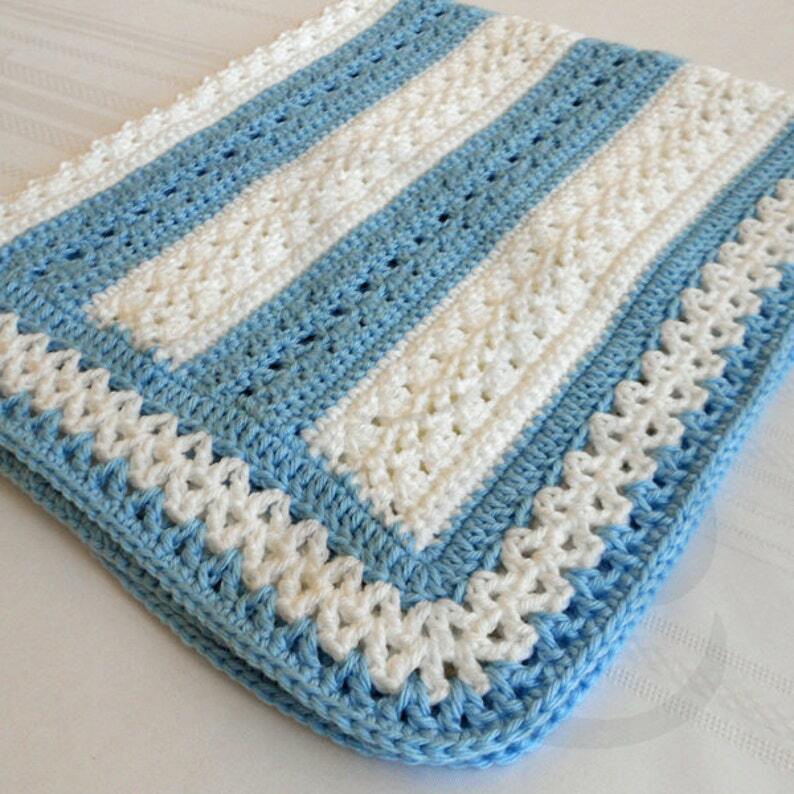 This crochet baby afghan / baby blanket is made to order and must seen to really appreciate the quality and beauty.